Below: WIll-i-am sure knows how to make a fashion statement. With Christian Louboutin SS2013 Bleached Denim Rollerboy Spikes and Saint Laurent's tuxedo jacket both on him... he is definitely fashion noteworthy! What could be more envy inducing than to be spotted wearing 2 of the most coveted brands in Fashion right now? Christian Louboutin and Saint Laurent do make for a formidable attention grabbing duo. And Will-i-am knows that. He was spotted wearing a pair of Spring Summer 2013 Christian Louboutin Rollerboy Spikes in Bleached Denim while clad in a gorgeous Saint Laurent shimmery green-black textured polyester jacquard one-button tuxedo jacket. I love the cropped proportion of the very skinny jacket juxaposed with the more casual but edgy Christian Louboutin Rollerboy spikes. 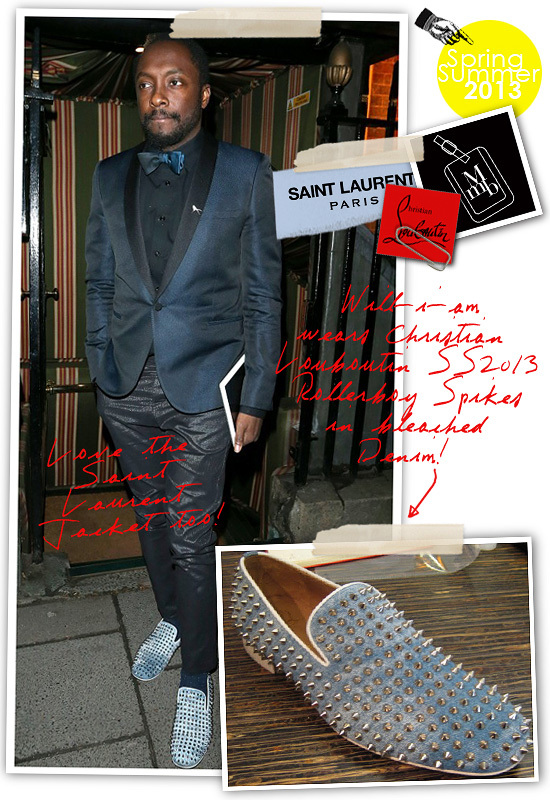 Shimmer and spikes: Talk about a standout... Nice job Will-i-am! 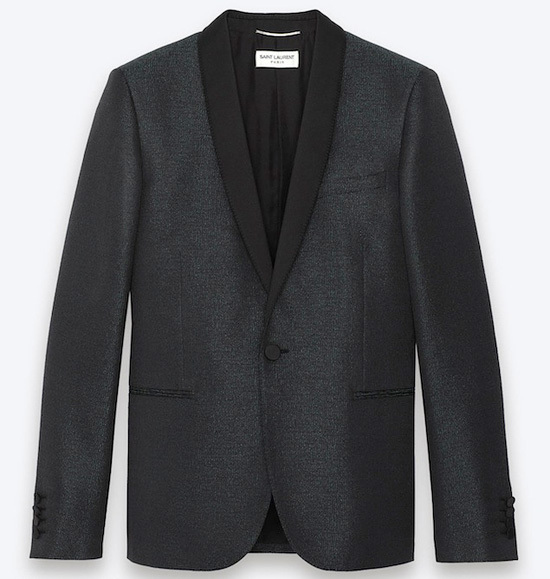 Below: Saint Laurent tuxedo jacket... A gorgeous attention worthy piece for all parties and red carpet!